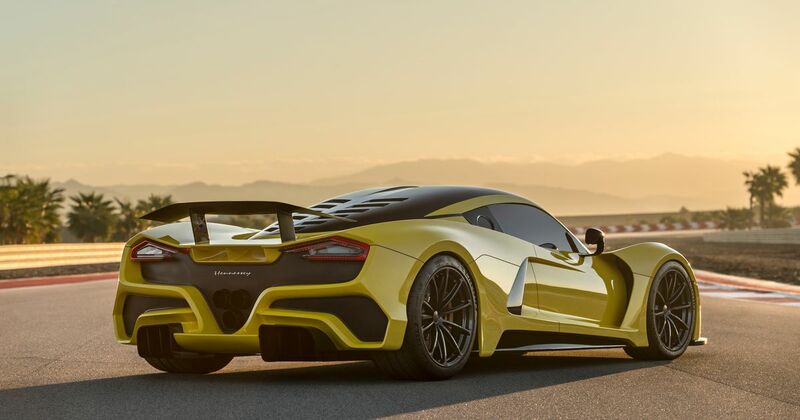 Claiming your incoming hypercar will do 300mph is quite a declaration, but that’s just one of several crazy figures Hennessey has put out there regarding the ‘Venom F5’. We’re talking 1600bhp. 0-186mph in under 10 seconds. And finally, 0-249-0mph in under 30 seconds. 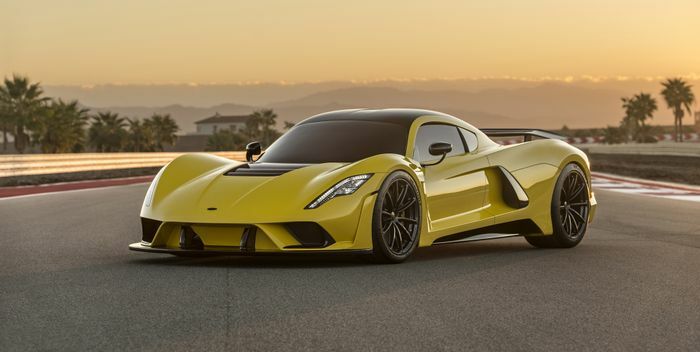 Yep, Hennessey has jumped on the ‘0-400-0’ bandwagon, with a car that’ll supposedly beat the Koenigsegg Agera RS - the current record holder - by at least six seconds. How will the Texan firm do this? That’s the thing - we don’t really know yet. 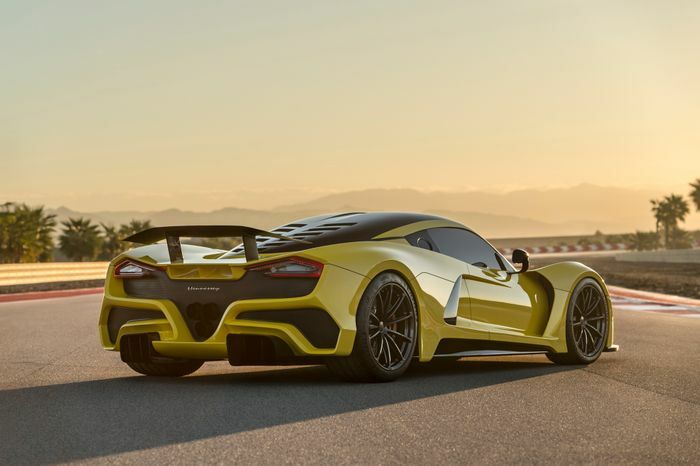 The 7.4-litre, twin-turbo V8 engine is still under development, and other than the fact it’s GM LS based, not much has been revealed about it yet. A 1338kg kerb weight is made possible by a carbonfibre body, and there’ll be some kind of active aerodynamics package. Other than that, it’s a bit of a mystery at this stage. 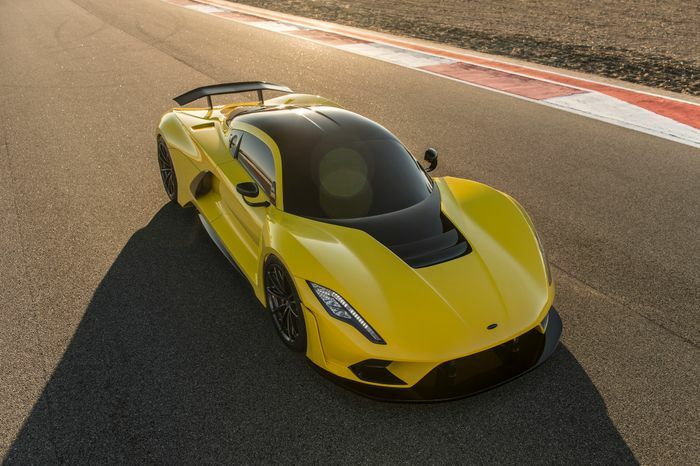 Given the extraordinary claims being made along with the lack of detail, the F5 does have a hint of vapourware about it, but then again, Hennessey does have previous in the field of stupidly fast, low-volume hypercars, in the form of the Venom GT. Oh, there is just one more detail, and it concerns the price: each of the 24 F5s planned for production will cost $1.6 million.